We are pleased to announce a gorgeous litter of 4 Goldendoodles born December 16th. Based on their 42 pound Goldendoodle mom and 7 pound Mini Poodle dad, we expect this litter of puppies to be 18-35 pounds full grown. This litter four mini Goldendoodles have beautiful cream coats and loving personalities. We believe they will make outstanding family members for a few fortunate forever homes. Sophie is the only girl in her litter and she is our princess! She loves to run around and play with her brothers, but she still carries herself like a little lady. We believe that her lovely cream coat will only grow more thick and beautiful with age, and that she will be a wonderful furry family member! Sandy is a smart little fellow with a handsome cream coat. His sparkling eyes are captivating, as is his affectionate and fun-loving personality. Sandy is a wonderful puppy who is bound to be best friends with his forever family! Silas is such a sweetheart of a puppy! He is super cute, with his wavy cream coat and cheerful personality. Silas loves to play with his family, but we think his favorite spot is cuddled up in their arms. Silas will be a wonderful companion for years to come! 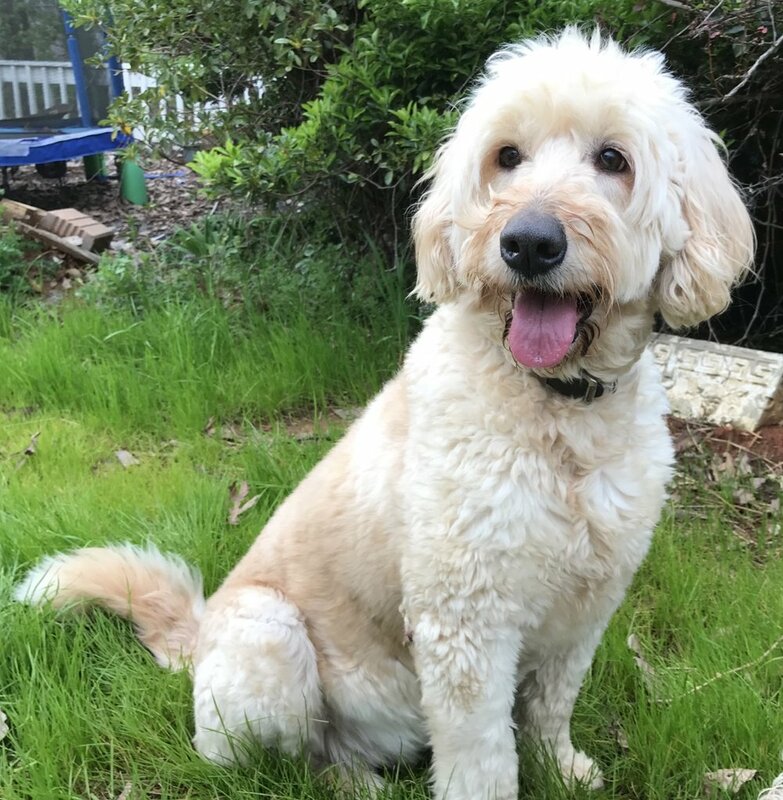 Sparky is a handsome mini Goldendoodle boy with a thick and wavy cream coat. He love his family, food and having fun! Sparky always knows how to bring a smile to our faces and we are excited for him to bring that joy to his new forever home!